Perhaps the best possible upgrade for your Sportief Series. 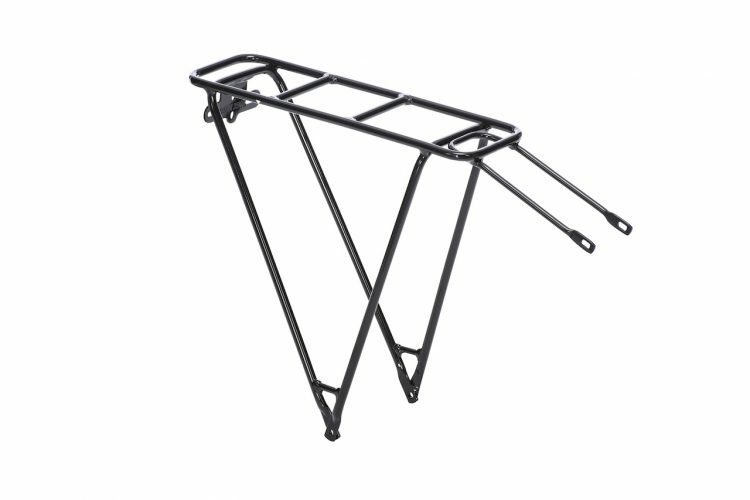 A color matching – full aluminium – rear carrier rack. Perfected to carry some small goods. Its a lightweight, 100% rust free Carrier which we already have fitted with a bracket to fit our Rear LED Classic Light. The Carriers come in two sizes: 42cm and 46cm. Please double check the size of your Sportief Series, in order for us to select the correct size to match your bike.